Just a few days ago we told you that Lenovo and Motorola had in mind to launch a new edition of their Moto X4 , with improved specifications and aimed at a specific number of markets. With this model, Motorola would intend to strengthen its proposal in the medium-premium range, taking advantage of the characteristics of the current variant, in itself quite advanced, but improving certain details with which to make the X4 an even more complete terminal. 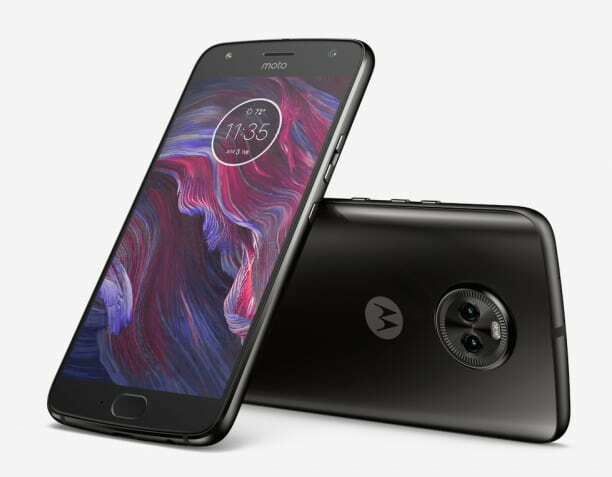 And today, just a few days later, Lenovo has made it official in India, this new variant of the Motorola Moto X4 that among other changes comes with 6GB of RAM. The Motorola Moto X4 was announced for the first time during the IFA 2017 in Berlin, to later break into the market, assuming the return of the Moto X family, which seemed missing after the arrival of the Moto Z and its modular concept. However, although Lenovo decided to maintain the premium essence in this fourth generation, certain high-end features that had become the hallmark of the Moto X line also disappeared. Perhaps that is the reason why today, the firm introduces this new edition of the device, which boasts 6 GB of RAM, despite keeping the technical section of the first edition practically intact. Accompanying the extra 2GB of RAM it runs on the Android 8.0 Oreo OS out of the box which is the latest version of the Android operating system. It was launched with a 5.2-inch Full HD LTPS IPS display with Corning Gorilla Glass protection and 1920 x 1080 pixels resolution. It is powered by a 2.2 GHz Octa-Core Snapdragon 630 14nm Mobile Platform with Adreno 508 GPU. It was having two variants with one having 3GB of RAM with 32GB storage and the second one having 4GB of RAM with 64GB internal storage with both variants supporting expandable storage up to 2 TB with microSD card. It runs on the Android 7.1 (Nougat) OS out of the box and comes with Dual SIM option as well. It comes with a dual rear camera with a 12-megapixel camera with Dual Autofocus Pixel sensor, PDAF, f/2.0 aperture, 1.4um pixel size along with an 8-megapixel ultra-wide angle secondary camera with 120-degree field of view, f/2.2 aperture, 1.12um pixel size, dual-tone LED flash, 4K video recording. It also comes with a 16-megapixel front-facing camera with LED flash, f/2.0 aperture and 1um pixel size. It is backed up by a 3000mAh battery and it comes with Turbo Charging support that can give six hours of power in just 15 minutes of charge. The device is water and dust resistant with IP68 ratings and has a fingerprint sensor on physical home button. The device comes with connectivity options like 4G VoLTE, WiFi 802.11 ac (2.4 GHz and 5 GHz), Bluetooth 5.0 LE, GPS, GLONASS, NFC, USB Type-C, 3.5mm audio jack, Front-ported speaker and 3-Mics. It measures 148.35 x 73.4 x 7.99 mm and weights 163 grams.